A SLICE OR TWO OF HEAVEN. Farm to Fork Retreat, a 21-acre getaway along the Buffalo River near Mondovi, offers a host of relaxing activities – from vacation rentals to kayaking – as well as food-fired pizza nights. Scrambling to find those last-minute flight deals or book that exotic, faraway vacation? Let the hunt end now, and look no further than the Farm to Fork Retreat to satisfy your desires for a nature-filled haven and local paradise – complete with wood-fired pizza. Located along the scenic Buffalo River in rural Mondovi about a 30-minute drive from Eau Claire, Farm to Fork Retreat first opened to the public 12 years ago thanks to owners and visionaries Dennis and Melanie Anderson. From its wooded trails and sprawling organic gardens to its prime location on the water, the lodge and retreat has become the perfect place for weddings, reunions, road-trip pizza nights, and weekends of refuge in northwoods beauty. The Andersons’ inspiration to create the countryside sanctuary in the first place arose from a combined passion for practicing holistic gardening, cultivating fresh ingredients, preparing wholesome cuisine, and – above all – sharing the fruits of their labor with others in the farm’s gorgeous surroundings. With those values at the core of their business, the couple ultimately strives to promote sustainable growing techniques while establishing a self-sufficient ecosystem and permaculture. At Farm to Fork, overnight patrons and day visitors alike have access to a wide variety of fun and recreation. Guests can choose to rent kayaks and canoes to paddle the Buffalo, toss a round of discs on the nine-hole Frisbee golf course, or challenge a friend in a game of horseshoes. And if all that activity gets too exhausting, visitors can get their dose of rest and relaxation by sweating out the day’s stress in the sauna, grabbing a refreshing beverage from the rustic barn’s “milk-house bar,” or unwinding around a campfire beneath bright Wisconsin stars. Since its humble inception, Dennis and Melanie have been able to watch their retreat grow and evolve into the popular local getaway it is today. 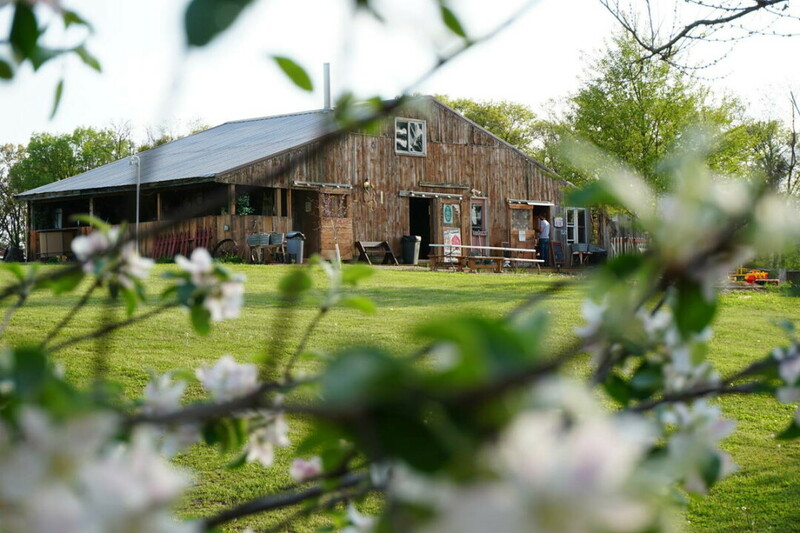 While remodeling the barn and installing the lodge were certainly key factors in the retreat’s success, Melanie explained that the increased attraction is primarily the result of the couple’s commitment to real food and real community. In addition to the available retreats and accommodations, pizza nights have also become a big hit at Farm to Fork. 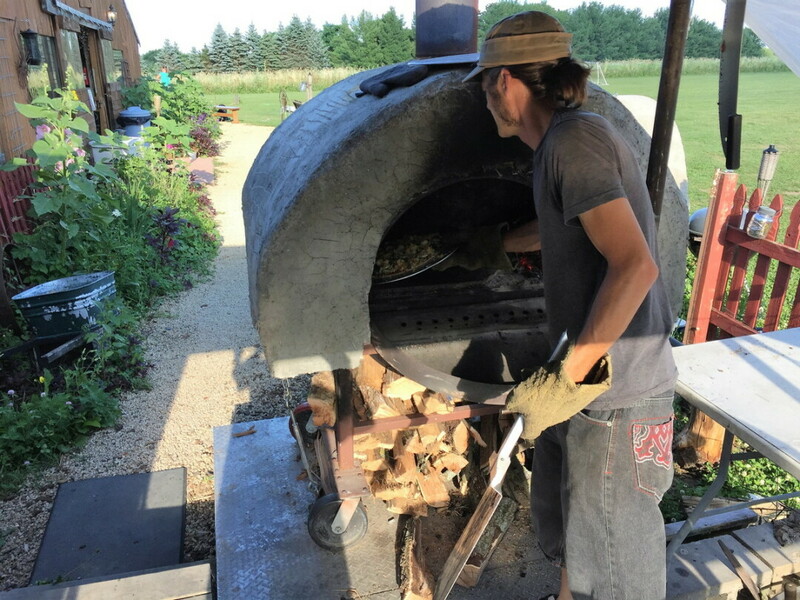 Every Wednesday through Saturday in the summer and early fall, anyone is welcome to come taste and enjoy the specially prepared wood-fired pies that feature garden-fresh produce and grass-fed meats. Dennis attributes the growing popularity to the evenings’ lively, family-friendly atmosphere – one that even welcomes four-legged friends. “Dog lovers appreciate that they are able to bring the furry family member, too!” he said. 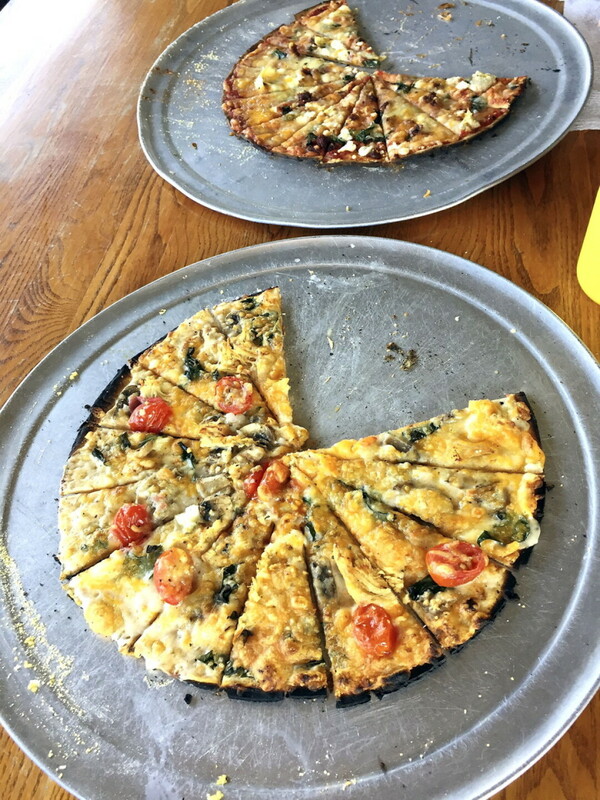 While Dennis and Melanie are thankful for how popular the pizza nights have become, they both find the sense of togetherness that develops among their customers to be the greatest reward. Still don’t have any summer vacation plans? Forget Cancun or the Bahamas – Farm to Fork is just a short country cruise away.